Snow. I’m over it for now. Since yesterday was the metrological first day of spring here in Germany, and it started snowing quite hard this morning, I’m really over it. Don’t get me wrong. Snow has its place and time. But that time is colloquially known as winter. And winter is supposed to be over now. When winter started last year, I was excited for a white Christmas. But that didn’t happen. Winter had it’s comeback though. And it was very cold and very snowy. I actually liked it. Except for the very cold part that is. 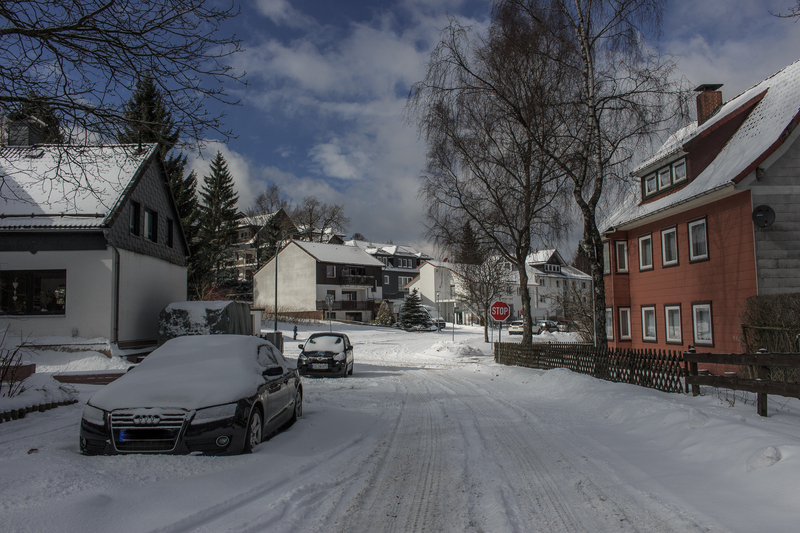 And driving here in the Harz is no fun in winter, either. Mostly, because the roads don’t get plowed very well. It was a great season for winter sports though. And it was nice. But it’s supposed to be over since yesterday. And it certainly looked like it was over. But it is not. It started again right this morning. And it’s really cold, snowy and windy again. And the roads aren’t plowed very good. Again. It’s officially spring now. And even though I love winter, it should be over now. See you again next year. How does it look like where you live? Snow or spring time? Tell me in the comments down below.